Karen Kay Buckley has a new pair of scissors! 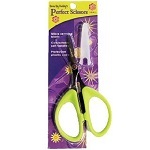 Just 3-3/4" long, perfect for clipping threads when quilting, sewing and doing embroidery. 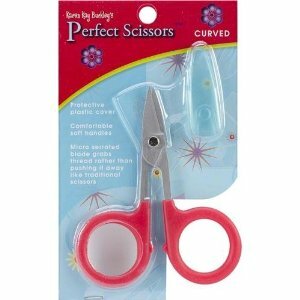 The curved, micro serrated blade grabs threads rather than pushing them away like traditional scissors. 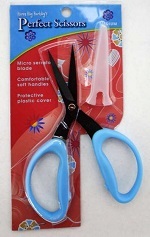 You can clip close without damaging fabric, great for cutting away stabilizers. The comfortable handles mean hours of pain free cutting and when you are finished just put the protective cover on the blades for safe storage.